You will feel pretty good the first 80m, or approximately 12-18 seconds, as you burn through the ATP energy sources already present in your body. You can even hold your breath if you wish (but I do not recommend), as no oxygen is involved in this process and no lactic acid is formed. Soon, however, the ATP from this system is gone and you must convert stored glycogen into glucose from which you can create additional ATP for energy. But this comes at a cost, as lactic acid is formed and your blood becomes more acidic with the buildup of hydrogen ions. Aerobic (with oxygen), metabolism is present also, but since this post is about lactic acid we will leave that discussion for another day. So, now we are roughly 100m, or 25% into the workout, and lactic acid is rapidly on the rise. It takes a while to buildup to bothersome levels (over 10 mmol/liter), perhaps you can cover another 50m or so before things start to feel funny, and not a good ‘funny’. Let’s be very generous and assume you get to the 200m mark before you start to feel the burn in your muscles at a concerning level. How do you react? Well, for one your stride length decreases as you tighten up. You start to use your arms and upper body more vigorously to counteract the heaviness in your legs (a horse will use his neck). Heading towards 300m things start to fall apart more rapidly. Your brain is now becoming involved, begging you to quit. You will even start to feel a bit disoriented, which is not desirable as you attempt to maintain coordination and avoid the dreaded ‘bad step’. You start to have an intense burning sensation throughout your body, including your chest, and each step feels more awkward than the last. While your first 50m may have been covered in 7sec, 50m now takes 8+sec and feels horrible. Good thing no one is on your back cracking the whip, eh? The last 50m is quite miserable, frankly, and you are relieved to be done. While you went out in 15sec for the first 100m, you came home in 18sec for the last 100m. Just like a racehorse not named Zenyatta or Secretariat. Picture each muscle containing thousands of claw foot bathtubs, each with an open drain in the bottom. As you turn on the faucet during intense exercise, lactic acid starts to fill up the tub. When the tub is full, lactic acid spills onto the floor of the bathroom, soaking your muscle cells in acidic hydrogen ions. Fatigue is imminent. However, you do have an open drain in the bottom – which allows your body to take lactic acid out of the tub and use it for energy via mitochondria present in your muscle cells. The larger the drain or the larger the tub, the longer you can exercise without lactic acid flushing your muscles. All lactic acid is not bad you see, some can be used to fuel movement. It is the waste product of hydrogen ions that is the culprit in muscle acidity, not lactic acid itself. Years earlier Alysheba had a similar incident with Bet Twice in winning the Kentucky Derby, do you think Alysheba was prepped with 4F breezes every 7 days? No, he was not. Interval training scare the hell out of you? I understand, as most in the past experimented with these methods incorrectly and on poor horses, giving up when IT did not immediately transform a claimer into a world-beater. No need to get too radical, read the link above for some less threatening changes to your current conditioning protocols. Or, simply add some slow jog/trot miles past the 2 mile barrier early in your horse’s race preparation in an effort to improve the aerobic portion of the equation. This concept will be further detailed in a future post. *Here is where I must attach my disclaimer: Thoroedge is not responsible for any injury or illness as a result of this exercise. Each individual is responsible for contacting their physician prior to undertaking any fitness program. You’ve been warned. Posted on June 18, 2011, in Uncategorized. Bookmark the permalink. 18 Comments. Alysheba won the Derby, It’s the belmont where bet twice beat him and it would be interesting tp know what kind of training Bet twice was subjected to by an old timer like Jimmy Croll. Going directly to carnosine supplementation might be a better bet than alanine, and something like Twin labs phos fuel is worth a look. I make a buffer for my race birds from dibasic sodium phosphate, carnitine, etc. which is similar to phos fuel. I failed to note that over reliance on phosphate compounds can cause calcium mobilization issues similar to abuse of diuretics. Natural carnosine sources would bypass the need for alanine conversion, plus enabling lower crude protein requirements. i.e. – Fish and poultry based concentrates plus paddy rice for natural phosphorous. I like to use citric acid, chromium picolinate, and lipoic acid/ L-carnitine mixes along with buffer to acellerate fat burn. As of right now the cost of Carnosine is still quite cost prohibitive in dosages that ho seswould like to take to realize the physiological effects. And in my ever so humble opinion, direct Carnosine supplementation is not the most efficient method at increasing Carnosine concentrations. There is a definitive increase in plasma Carnosine following ingestion of meats and associated products that contain Carnosine, but still at low concentrations. This is probably due to the relatively high activity of the Carnosinase enzyme, which is the enzyme that breaks Carnosine down into Beta-Alanine and Histidine. Beta-Alanine and Histidine are taken up into the muscle where they are resynthesized back into Carnosine by an enzyme called Carnosine synthetase. There is sufficient data to believe that supplementation with Carnosine’s constituent amino acids Beta-Alanine and Histidine are effective in increasing muscle Carnosine concentrations. To illustrate my point, a deficiency in the amino acid Histidine reduces muscle Carnosine concentration, while supplementation of Histidine increases it5. Another study showed that after removal of Histidine from the diet for periods as short as 24 days and as long as 12 weeks muscle Carnosine levels are reduced. As for Beta-Alanine, this is where the news gets good for athletes, so listen up! One study in horses showed that after feeding a combination of Beta-Alanine and Histidine for 30 days increased muscle Carnosine by 13%. Having been in the feed business, I am instantly sidetracked by additives and nostrums, interval training is the only way to go; it proves the horse instead of the feed. Please see my comment on the argentine criollo racers at Frank Mitchells blog. Interesting that in humans muscle carnosine concentration is affected to some extent by training, but beta alanine supplementation is extremely effective with increases of upto 80% in muscle carnosine. Previous training studies in horses do show an improvement in muscle buffering capacity, but have not always specified which elements of buffering improve. We have unpublished data to show that treadmill training in horses does increase muscle carnosine concentration. But our data also shows that supplementing the diet with beta alanine can increase muscle carnosine beyond the levels seen in trained horses. Bill Pressey is also quite right in reference to his comments on feeding carnosine, as it will simply be broken down rapidly to beta alanine and histidine in the gut and so it is inefficient and significantly more expensive. The other factor to consider is that amino acids such as beta alanine and histidine would be found in the horse’s diet naturally at a low level, whereas there would be no appreciable carnosine in a herbivorous diet. We know from previous studies that horses absorb beta alanine from the gut and that it increases the carnosine content of muscle. But there is room for improvement as beta alanine is not as readily absorbed in horses as in humans. A feeding strategy and formulation that improves absorption in horses will be beneficial. Respectfully Bill, I don’t agree that it does. Lactate is an indicator of how hard a horse has worked rather than an indicator of fatigue. My understanding is that lactate is actually beneficial in more ways than one – used as a fuel and also as a buffer within the cell, taking the damaging waste hydrogen ions out of the cell and into the blood. In very well fed, very fit thoroughbreds what physical performance effect (rather than cellular) is expected from supplementing the beta-alanine & histidine mix? My understanding is also that high lactate readings are normally associated with superior performance and not fatigue. Having read a lot of the late Tom Ivers work, one example springs to mind and that was the case of a racehorse named Acey Mack. You probably have read the detail of that case. This horse was running disappointly and not finishing out his races. He was glycogen loaded and his performance immediately improved and what was interesting was that his lactate numbers had shot through the roof when compared with the post race readings prior to the implementation of the loading protocols. At that time, this was not expected. I definitely agree with using IT to develop and increase the mitochondria density within the horse. I have looked for papers linking high lactate levels to poor performance, but haven’t found any yet. I am of course open to correction and am very open to embracing proven science. Lactate is absolutely a source of fuel Colm, but don’t confuse it with hydrogen ions in the blood. Supplementation with STORM is meant to buffer those ions in the bloodstream – allowing for large amounts of lactate to be present due to intense fast twitch muscle contraction which hopefully is resulting in speed. STORM supplemented athletes experience a smaller decrease in PH during intense exercise due to increased buffering of H ions in the blood. Take two horses exercising sub-maximally, completing a mile in 2:10. One does so and immediately shows a blood lactate level of 3.1 while the other shows 4.8. The first is more fit and a better athlete because lactate starts to accumulate in MOST horses at around 4.0. Horse one is using some lactate as fuel, while horse 2 is down the road to fatigue a bit. Being able to run a mile in this time without using major fast twitch musculature is a good thing for a racehorse. Here in American stakes horses can do this and more. I would like to embrace the concept of glycogen loading in horses, but I cannot. Most research doesn’t back up the concept in a horse racing for 120sec or less. Plus, the extra water weight associated with larger stores of glycogen certainly cannot be a performance benefit. But you are 100% correct in that earlier observers thought that after a race the winner would have the lowest lactate numbers, and they were wrong – the winner is better equipped to buffer high lactate numbers – his change in PH would indeed be smaller in most instances. Looking at blood lactate after a fast piece of work or a race is therefore not correlated with fitness, rather looking at the associated PH level would be a more valuable measure as the better athlete will have a higher PH reading indicative of less acidity and more H+ buffering. Thanks for elaborating on the point. So is the theory that by increasing the Carnosine in the horse, through STORM supplementation as an example, it buffers the hydrogen ion’s into the blood, rather than lactate doing this? As a result more lactate is available as a fuel? I absolutely believe in Glycogen loading based on my experience with it and my application. That said it was for a horse running between 1m4f and 2m. Always finished his races well (won 6 and placed 23 times – over four seasons), was bouncing the next day and ready for more action. With my point to pointer while I did not supplement her with a loader for the race, I pumped as much carb’s into her as possible for the four days before the race. I have no personal experience with glycogen loading, and you are not the first to relate to me it’s benefits in your stable, very interesting to see your races were quite long compared to the typical TB 6F here in the US. The focus here in Ireland and the UK is not on sprinting, but the preference with flat racing are the milers and middle distance horses. The 2 miles I refered to was for his 2mile maiden hurdle race which he won. As Lasix is not permitted over here, I don’t really know anything about it, except that it is a durietic. If a thoroughbred is only mildly dehydrated, then the performance will drop. How can the two marry – lose a huge amount of water and impove performance? I’m not so sure dehydration is a huge problem in an American thoroughbred who doesn’t warm up and races for 90sec on average. For instance as a human, my hydration level doesn’t much effect a 1600m trail, but certainly would a 5k. If the dehydrated state is indeed a negative factor, I believe it is more than cancelled out by the 20-40lb fluid loss. Most studies show a 5-10 length improvement when Lasix is introduced. Very interesting Bill …. the successful results of your project will also make for interested reading/application. So if you could dehydrate a horse on raceday without LASIx it would enhance performance ? I believe so Frank. Trainers in the US did so for many years prior to Lasix by withholding water from a racing horse for many hours prior to post time. With thoroughbreds only running for 70-120sec in most races; I just don’t think the dehydrated state hurts performance, but certainly 30lbs of lower blood volume/bodyweight MUST help matters. all of you comments are very intriguing and interesting, however ;having me being at the barn of Lucien Laurin when he was training “Secretariat Riva ridge ,Uppercase ,Spanish Riddle etc meaning many more stakes horses and not knowing as all of you mention the escential aminoacid which play a role in the efficiency of cell fibers and mucle fuction ,to me it was as someone states whitholdind not only water but also hay, which needs great deal of water for digestion,perhaps made the difference from past methos of training thoroughbres,for more efficient racing results.Now having me become a horse trainer in the “states” and having use those methos plus Tom Ivers cuasi metho of IT,plus”milk shaking”and having good result I still pondering at what makes a race horse perform at peek since there is alot of science we still don’t know and since some of you mention the use of “laxis or salix “as is known today and watching the PERFORMANCE OF “LIFE AT TEN AND THAT OF TRICKY CREEK” both dissmal placings on two different aditions of the breeders cup fillys and mares classic;was there a drainage of to many chemical needed for normal and efficient cell fibers muscle function?,was abuse of “laxis -salix”the culprit or what might had happens.!!! This comparison is out of persective. 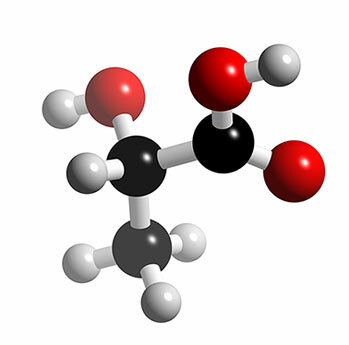 Lattice acid is a good thing and all three energy sytems – aerobic – lattice acid – ATP – are necessary for a race horse or person to preform at top levels. There is a science to the amount of training necessary to perfect each system. The west Germans we some of first to figure this out and master it for their athletes, among other not so good ways to improve performance. I have not seen where the horse industry has figured this out yet. Comparing a totally out of shape person to a properly trained race horse is not reality or worth anything. The idea is to show a person what the burning of lactic acid buildup feels like. You can feel that by yourself and begin to understand just a tiny bit what it feels like for a horse hitting the wall. But yes, the horse industry has not figured this out by a long shot. And yes, I fully understand the good side of lactate.